I accidentally held a birthday celebration for Charles Mingus last Friday. The influential bass player would have been 94 years old on April 22nd. This accident was started a few weeks ago when I found a minty looking copy of the 1979 Joni Mitchell album Mingus at the local used record store. The cover was perfect, the artwork was bright and beautiful, and the shiny black record showed no wear whatsoever. Being a fan of the Weather Report era Mitchell albums, but never having heard Mingus before, I took the plunge. I mean with Hancock, Shorter, and Pastorius involved what did I have to lose, right? To boot, four of these compositions were from the man himself (with lyrics by Mitchell)… three brand new compositions and a reimagining of the classic Goodbye Pork Pie Hat (from the Mingus Ah Um album). After I got it home and excitedly loaded onto the turntable, what I could hear over the screeching coming out of the right speaker sounded pretty darn good! Yup, screeching. Someone had played this pristine looking album with a broken stylus or something else that damaged the right side of the groove throughout. Fortunately the store took back this damaged beauty, but now I had to have a copy! Trouble is, I had never seen this album in the wild before. So, the hunt was on! My first stop was eBay where mint condition copies were selling for upwards of $20… add in shipping and that seemed to rich for my thrift store sensibilities. Next stop was the Discogs database where $10 – $20 were plentiful. I settled on a listing that was described as mint for the low low price of $5 plus another $4 for shipping. It sounded too good to be true, but the seller had a 100% favorable rating from 100 other buyers… “What the heck” I thought “I’ll give it a try”. Two weeks later a moldy, dirty and scratched copy of this elusive record showed up on my doorstep. So much for “mint”. Later that same week, I visited a thrift store out of town. Going through the single rack of used records I did manage to find a few gems. As I was packing out my lot to the checkout line an employee said “Hey are you interested in looking at some more vinyl? We have a few bins of it out back we just don’t have room to display out here on the floor”. There was rock, there was a country, there was blues, there was jazz! Amongst the 130 albums I came home with there was a copy of Mingus… not mint but VG+ for sure! With the album all cleaned up and spit-shined, and the morning to myself before work, I finally gave Mingus the attention it deserved. First off, if you’ve never heard this era of Joni Mitchell recordings… this is not hippie, Woodstock, Big Yellow Taxi, Mitchell… It’s very experimental and free (almost free) jazz… with Mitchell’s haunting vocals and buzzing acoustic guitar throughout. Interspersed throughout the record are sections labeled as “rap”, they’re basically home recordings made by Mingus’s wife Sue. Pouring over the liner notes, it seems that someone had introduced Mingus to Mitchell’s music and he took it upon himself to compose some music for her and suggest a collaboration. Mingus was suffering the full effects of ALS at this time, confined to a wheelchair and no longer able to play. But he was still able to compose and arrange. These rough sketches were taken to recording studios in LA and New York and worked out by a fantastic lineup of musicians. Listed in the liner notes are such luminaries as Gerry Mulligan on saxophone John McLaughlin on guitar Jan Hammer on synthesizer and Stanley Clarke on bass. Mitchell claimed that Mingus heard all of the tracks on this record before he passed away in January of 1979… all except one. Written two days after his death, the Mitchell song God Must Be A Boogie Man was inspired by the opening salvo of Mingus’s autobiography Beneath The Underdog. This is a beautifully presented and recorded album. The musicianship is top-notch and the production by Gary Katz is fantastic. 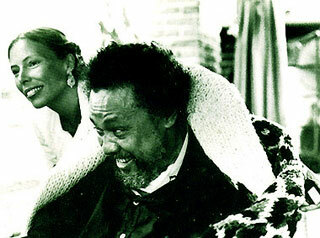 Mingus was cremated on January 6th 1979 in Cuernavaca, Mexico, where has been seeking treatment for his ailment. His ashes were scattered on the Ganges River by his wife. He exploded onto the MTV screen in my little hometown. You couldn’t get away from it! I didn’t want to like him. He dominated radio airplay on our one FM station. He influenced other artists to emulate his “Minneapolis” sound. The girls I knew went ga ga and wanted to dance! He took over movie screens across America. I came around slowly, but come around I did. Mostly, I credit my wife for patiently introducing me to the brilliant music of Prince. We had beautiful weather here for Record Store Day 2016 last Saturday. With two participating stores in town, and numerous special events scheduled, I was really looking forward to getting out among my fellow vinyl enthusiasts. I had 3 exclusive releases on my list, the deluxe reissue of the Emmylou Harris Wrecking Ball album, a 7 inch split Faith No More / Bee Gees release that my wife was interested in, and the reissue of the Etta James At Last album. Our newest record store, Garageland, threw down the gauntlet by opening doors at 7 a.m. The crowd was modest but enthusiastic and many patrons walked out with armloads of new vinyl treasure. I did manage to find the Etta James here but the other two would have to wait. The next store on the list, 4000 Holes conveniently opened their doors at 8 a.m. A slightly larger crowd filed in to the well-lit and very efficiently laid out space. As the 50th person through the door I was doubtful that my goal would be met and, unfortunately, I was right! A short chat with the owner uncovered that there had indeed been two copies of Wrecking Ball in the store when the doors opened but they both went very early. Strike one! As for the Faith No More / BG split, it was nowhere to be found. Strike number two. So, I was one for three on my record store day exclusives but I did end up scoring from real treasures in the non Record Store Day inventory. The first score was at 4000 Holes where 3 excellent condition early Metallica albums were stashed the new arrivals section. At just over $25 each, I feel these were extremely undervalued. To boot Metallica is at the top tear of my wife’s favorite artists. The next big score came from a special event… a local record collector held a pop-up record fair at one of the live music venues downtown. He brought several thousand records for people to dig through in the performance space. A local singer-songwriter provided entertainment, and the venue sold beer and Cocktails! It was a real pleasure to dig through boxes and boxes of $3 vinyl while sipping a good beer and listening to music. Here we ended up filling many gaps in the collection, Stevie Nicks, Phil Collins and others. My wife found a mini copy of Dio’s Holy Diver album and an almost perfect copy of Queensryche Rage for Order. I found an unopened copy of Tom Petty and the Heartbreakers Southern Accents and an unopened copy of a Willis Alan Ramsey record. It was a beautiful and fun day and one that makes me appreciate this hobby even more. I heard the sad news Wednesday that Merle Haggard has passed away at the age of 79. The news came to me by way of an Associated Press Newswire. I guess if the Associated Press deems your demise to be newsworthy you were something special! Merle was a later in life hero of mine. I didn’t appreciate him in my youth, even though local lore claimed that one of Merle’s band The Strangers was from my hometown. My father, recalling a memory or pulling my leg – 50/50 chance – passed on this bit of trivia… “…that’s why he came and played the fairground that one time” he exclaimed, “a regular hometown hero!”. It took time, but I came to know and love Merle’s lyrics, style and message within the last several years. I was too young to appreciate the Outlaw Country movement when it was happening. It was only after dismissing all of country music as over orchestrated plastic schlock that I dug down to the core and found Willie, Waylon, Merle and others there waiting for me. My Merle record collection is rather thin, but it is also a mighty. Most importantly it includes an album Big City. My Montana bread wife and I can be counted on to sing this song loudly to the rafters if it ever appears on a radio playlist or a honky tonk juke box. Rest in peace Merle and I hope to see you on the other side. PS, tell my dad I said hello!